Focus Sat: DoQ TV has left 11958.00MHz, pol.V (DVB-S SID:31227 PID:1451/1460 Hungarian,1461 Czech,1463 Romanian,1465 English), it is no longer transmitted by satellite in Europe. Focus Sat: DoQ TV (Hungary) is now transmitted Free To Air (11958.00MHz, pol.V SR:28000 FEC:7/8 SID:31227 PID:1451/1460 Hungarian,1461 Czech,1463 Romanian,1465 English). DoQ TV (Hungary) is now transmitted Free To Air (11811.00MHz, pol.V SR:30000 FEC:3/4 SID:85 PID:1851[MPEG-4]/1852 Czech). A new channel has started in DVB-S2 Panaccess: DoQ TV (Hungary) on 11811.00MHz, pol.V SR:30000 FEC:3/4 SID:85 PID:1851[MPEG-4]/1852 Czech. A new channel has started in DVB-S2 Panaccess: DoQ TV (Hungary) on 11851.00MHz, pol.V SR:30000 FEC:3/4 SID:85 PID:1851[MPEG-4]/1852 Czech. Focus Sat: New frequency for DoQ TV: 11958.00MHz, pol.V (DVB-S SR:28000 FEC:7/8 SID:31227 PID:1451/1460 Hungarian,1461 Czech,1463 Romanian,1465 English- Conax & Cryptoworks & Irdeto 2 & Nagravision 3). A new channel has started in DVB-S2 Panaccess: DoQ TV (Hungary) on 11290.00MHz, pol.H SR:45000 FEC:5/6 SID:85 PID:1851[MPEG-4]/1852 Czech. 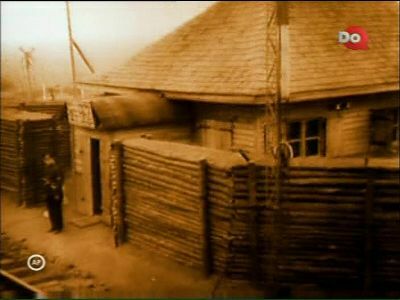 Orange Romania: A new channel has started in DVB-S2 Viaccess 5.0: DoQ TV (Hungary) on 12324.00MHz, pol.V SR:30000 FEC:3/4 SID:8410 PID:4101[MPEG-4]/4102 Hungarian,4103 English. Dolce TV: New frequency for DoQ TV: 10971.00MHz, pol.V (DVB-S SR:30000 FEC:7/8 SID:290 PID:802/902 Hungarian- VideoGuard). New SR for DoQ TV on 11747.00MHz, pol.H: SR:27500 ( FEC:2/3 SID:5107 PID:1071[MPEG-4]/1072 Hungarian - Conax & Irdeto 2). New SR for DoQ TV on 11747.00MHz, pol.H: SR:29900 ( FEC:2/3 SID:5107 PID:1071[MPEG-4]/1072 Hungarian - Conax & Irdeto 2). New FEC for DoQ TV on 11747.00MHz, pol.H: FEC:2/3 ( SR:27500 SID:7 PID:1071[MPEG-4]/1072 Hungarian - Conax & Irdeto 2). DoQ TV is now encrypted in Conax (11747.00MHz, pol.H SR:27500 FEC:3/4 SID:7 PID:1071[MPEG-4]/1072 Hungarian). A new channel has started in DVB-S2 Clear: DoQ TV (Hungary) on 11747.00MHz, pol.H SR:27500 FEC:3/4 SID:7 PID:1071[MPEG-4]/1072 Hungarian. Dolce TV: New frequency for DoQ TV: 11103.50MHz, pol.V (DVB-S SR:14400 FEC:3/4 SID:290 PID:802/902 Hungarian- VideoGuard). Dolce TV: New frequency for DoQ TV: 12729.00MHz, pol.V (DVB-S SR:30000 FEC:7/8 SID:290 PID:802/902 Hungarian- VideoGuard). Focus Sat: A new channel has started in DVB-S2 Conax & Cryptoworks & Irdeto 2 & Nagravision 3: DoQ TV (Hungary) on 11382.00MHz, pol.H SR:28000 FEC:5/6 SID:1007 PID:7107/7207 Hungarian. UPC Direct: New frequency for DoQ TV: 12265.00MHz, pol.V (DVB-S SR:28000 FEC:7/8 SID:30917 PID:851/860 Hungarian,861 Czech,862 English- Cryptoworks & Nagravision 3). T-Home: DoQ TV is now encrypted in Conax (10723.00MHz, pol.V SR:30000 FEC:2/3 SID:26 PID:54[MPEG-4]/52 aac Hungarian). T-Home: DoQ TV (Hungary) is now transmitted Free To Air (10723.00MHz, pol.V SR:30000 FEC:2/3 SID:26 PID:54[MPEG-4]/52 aac Hungarian). DoQ TV switched to Astra 3B satellite at 11875.00MHz, pol.H (DVB-S , 11875.00MHz, pol.H SR:27500 FEC:3/4 PID:2864/2865 Czech). Focus Sat: DoQ TV (Hungary) is now transmitted Free To Air (11747.00MHz, pol.H SR:28000 FEC:5/6 SID:1007 PID:7107/7207 Hungarian,7307 English,7407 Czech). Focus Sat: DoQ TV is now encrypted in Conax (11747.00MHz, pol.H SR:28000 FEC:5/6 SID:1007 PID:7107/7207 Hungarian,7307 English,7407 Czech). DoQ TV switched to Thor 6 satellite at 11747.00MHz, pol.H (DVB-S , 11747.00MHz, pol.H SR:28000 FEC:5/6 PID:7107/7207 Hungarian,7307 English,7407 Czech). DoQ TV switched to Thor 5 satellite at 11747.00MHz, pol.H (DVB-S , 11747.00MHz, pol.H SR:28000 FEC:5/6 PID:7107/7207 Hungarian,7307 English,7407 Czech). Focus Sat: DoQ TV is now encrypted in Conax (11747.00MHz, pol.H SR:28000 FEC:5/6 SID:1007 PID:7107/7207 Hungarian,7307 English). Focus Sat: New frequency for DoQ TV: 11747.00MHz, pol.H (DVB-S SR:28000 FEC:5/6 SID:1007 PID:7107/7207 Hungarian,7307 English- Clear). DoQ TV switched to Astra 1G satellite at 11875.00MHz, pol.H (DVB-S , 11875.00MHz, pol.H SR:27500 FEC:3/4 PID:2864/2865 Czech). T-Home: DoQ TV is now encrypted in Conax (10723.00MHz, pol.V SR:30000 FEC:2/3 SID:26 PID:54[MPEG-4]/52 Hungarian). T-Home: DoQ TV (Hungary) is now transmitted Free To Air (10723.00MHz, pol.V SR:30000 FEC:2/3 SID:26 PID:54[MPEG-4]/52 Hungarian). CS Link: DoQ TV is now encrypted in Cryptoworks (11875.00MHz, pol.H SR:27500 FEC:3/4 SID:13103 PID:2864/2865 Czech). CS Link: DoQ TV (Hungary) is now transmitted Free To Air (11875.00MHz, pol.H SR:27500 FEC:3/4 SID:13103 PID:2864/2865 Czech). A new channel has started in DVB-S2 Conax: DoQ TV (Hungary) on 10723.00MHz, pol.V SR:30000 FEC:2/3 SID:26 PID:54[MPEG-4]/52 Hungarian. Digi TV: New frequency for DoQ TV: 11785.00MHz, pol.H (DVB-S SR:28000 FEC:5/6 SID:3290 PID:4012/896 Hungarian,902 Czech- Nagravision 2 & Nagravision 3). DoQ TV is testing in DVB-S Cryptoworks on 11875.00MHz, pol.H SR:27500 FEC:3/4 SID:13103 PID:2864/2865 Czech. UPC Direct: A new channel has started in DVB-S Cryptoworks: DoQ TV (Hungary) on 12382.50MHz, pol.H SR:27500 FEC:3/4 SID:20324 PID:551/560 Hungarian. Digi TV: A new channel has started in DVB-S Nagravision 2: DoQ TV (Hungary) on 12563.00MHz, pol.V SR:27500 FEC:3/4 SID:3290 PID:4012/896 Hungarian.